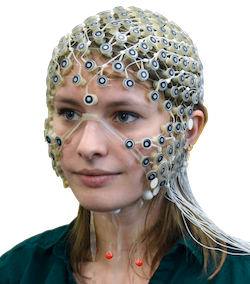 Record EEG concurrently with neuromodulation to evaluate neuromodulatory effects on brain activity. 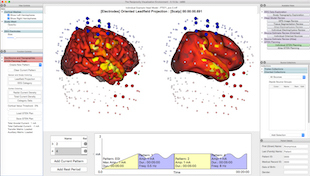 Electrodes for stimulation can be automatically selected for a defined target region or manually selected to create and evaluate any pattern of sources and sinks, from a simple two-patch pattern to your own design of complex patterns. GTEN 100 targeting and planning software is designed to maximize current delivery dosage to your target while limiting current elsewhere. EGI’s high­ resolution FDM head models are accurate for describing the underlying geometry of the conductive tissues, and also for how current flows through the head volume to the scalp. Multiple software and hardware controls limit current levels to less than 200 μAmps per electrode or 1 mAmp total. The GTEN 100 Research Neuromodulation System is available as a beta release. 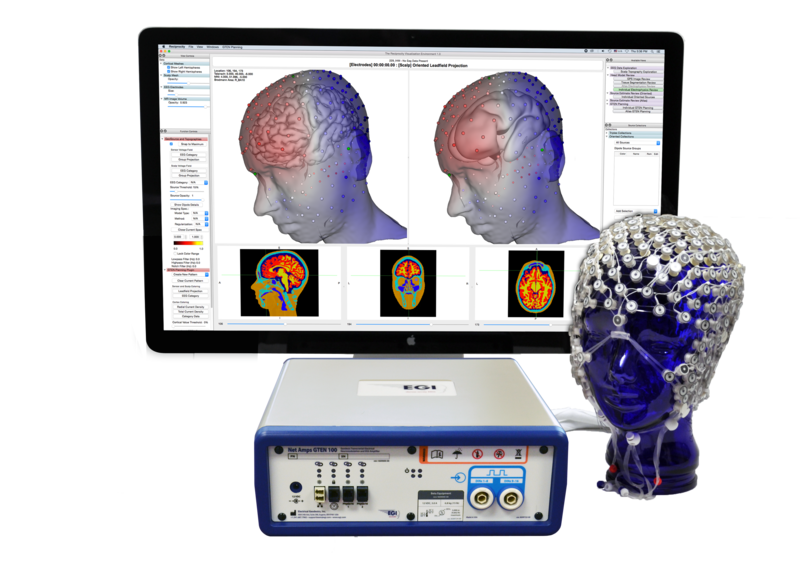 GTEN 100 Research neuromodulation system is available as a conversion package to EGI’s Geodesic EEG System (GES) 400. 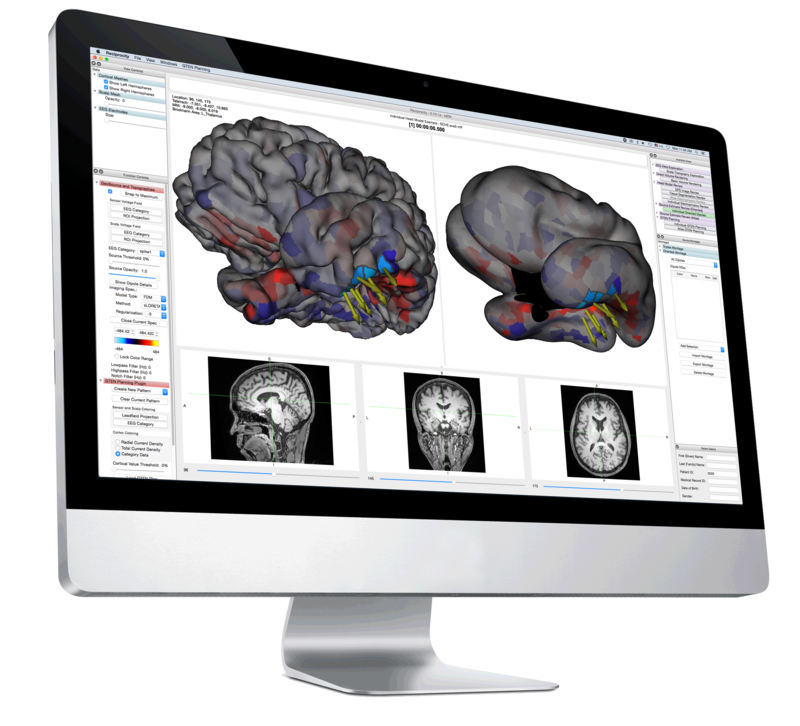 For registration of individual sensors to the head model, used in creating a conformal atlas (in GeoSource 3 Research Intermediate) or individual head model (in GeoSource 3 Research Advanced). NOTE: Once the Net Amps 400 amplifier in your GES 400 system is converted to a GTEN 100 amplifier, it will still record EEG signals, but will no longer be a clinically cleared device and will be FOR RESEARCH USE ONLY. See the talk titles and e-posters presented by EGI scientists and collaborators at the 2017 Brain Stimulation and Imaging Meeting and the Organization for Human Brain Mapping 2017 Annual Meeting. View EGI's GTEN Symposium presented at OHBM 2016. See it now with EGI SYMPOSIA OnDemand. EGI's study using GTEN 100 Research System and pulsed protocols showed long-term depression of motor cortex excitability, sustained over 90 minutes following current injection. Read the paper. The GTEN 100 Research System is for research use only. This product is intended by the manufacturer for use by research scientists under the supervision of an Institutional Review Board or Ethics Committee. The GTEN 100 Research System is covered by US Pat. No. 6,330,470 and 6,594,521. GeoSource 3 Research Packages are covered by US Patent No. 8,478,011. The Geodesic Photogrammetry System is covered by US Patent No. 7,190,826.